A loan of $1,075 helped to pay for grocery items and partly for the maintenance of her tricycle. Joan is a hardworking wife and mother. She begins her day early in the morning to assist her children in preparing for school and opening her store for her customers. 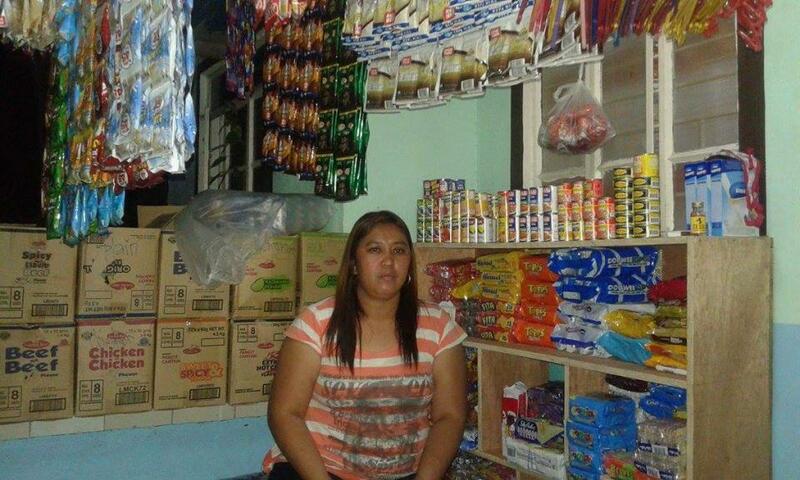 At the age of 40 with 10-years experience in operating a general store or 'sari sari store' which sells a person's daily needs in small quantities (such as one sachet of shampoo, cooking oil and instant or canned food), Joan was able to obtain and gather knowledge on how to help her business improve. Today she is seeking financial assistance to help her fulfill her dream of expanding her store and to one day purchase a vehicle for deliveries. She aims to have a bigger monthly income to help her send her children to school until they all graduate college. She faithfully meets up with her co-fellowship* members to share stories of her work every week and also draw strength and inspiration from the Word of God she studies. *All CCT community partners/clients are organized into fellowship groups that meet on a weekly basis. A fellowship group is composed of 15 to 30 community partners. The fellowship groups gather each week to study the Word of God, build social capital and repay Micro Finance loans.